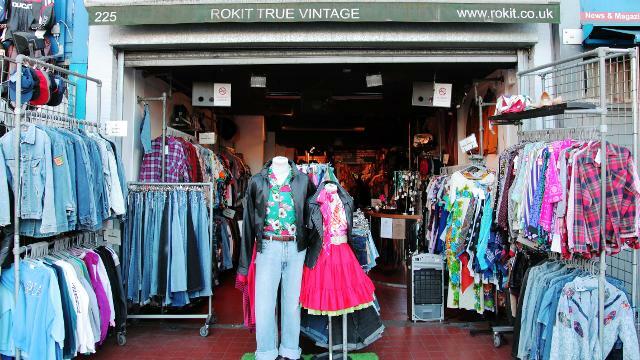 A goldmine of vintage treasures, Rokit began in London in 1986,with a market stall in Camden. With the rise of mass-produced, throw-away high street fashion there has been a growing interest and passion for vintage clothing. Rokit, now more than ever, compensates for this with its authentic and eclectic range of classic but quirky and unique attire. Rokit’s vintage clothing is regularly featured in various forms of media, which illustrates the myriad of clothing on offer. Many stylists frequently use Rokit garments and accessories for fashion features in magazines from Vogue to Dazed and Confused to i-D magazine. Is Rokit Camden your business?